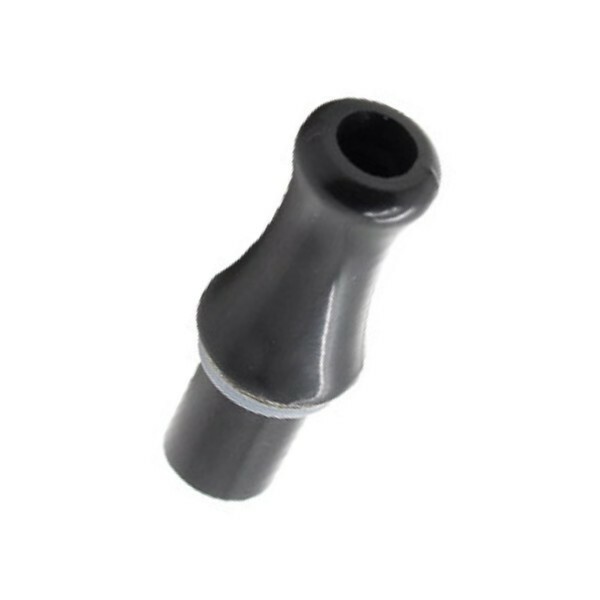 These drip tips are used in place of normal e cig cartridges, allowing the user to drip liquid into the atomizer without needing to remove the tip. Use your own favourite vapour flavour and drip a few drops directly into the hole in the drip tip. Fast and durable, this drip tip will fit the clearomizer series such as the 3ml and 6ml 510 series. They are powered by rechargeable lithium-ion polymer batteries which have the benefits of providing long life and great performance. There are two different types of battery to choose from; manual or automatic and each of these offers the user a different smoking experience. Manual batteries are powered by the user pressing a small button to activate them, while automatic batteries have a built in switch that is activated each time the user draws on the e-cig. Automatic batteries are more popular as they are user-friendly and able to provide the user with an easier smoking experience; there is no need for them to fiddle with any buttons to power their e-cig. Batteries generally last anything from a few weeks to a few months depending on how much they are used and their capacity. Recharging can be carried out by a USB charger which can be plugged into a PC or a laptop. It is also possible to purchase car chargers so e-cigs can be charged on the move. Depending on their size, batteries can provide between 7 - 14 hours of use and should last 8-36 weeks before they need replacing. The atomiser is important as it contains the heating element and it is the part of the e-cigarette that turns the liquid into vapour which is then inhaled. The atomiser takes power from the battery to heat a coil up very quickly. When the e-liquid comes into contact with the coil it is then vaporised. Atomisers are constantly heating and cooling so they do wear out and generally need to be replaced every 14 days depending on their usage. Cartridges are the part of e-ciggies which need to be replaced most regularly. They are plastic cylinders which come prefilled with different strengths of nicotine solution as well as different flavours such as coffee, cherry, chocolate and vanilla. They are also available as blanks containing no liquid and are designed to be refilled with e-liquid by the user. The pre-filled cartridges are more popular with those new to them as they are more convenient. All cartomizers are a combination cartridge and atomiser in one unit and they are designed to fit directly into the battery. They are much more user friendly than purchasing a separate atomiser and cartridge and they remove all the fuss involved with regularly refilling the cartridge as they can hold a lot more e-liquid. They are designed to be disposable but many people successfully refill them for a longer life span. Comment : How much is the shipping to Australia? Rating(s) and review(s) : Drip Tip - Reviewed by : errol S - Rating 1 / 5 - How much is the shipping to Australia?